Mrs Albert Broom (Christina Livingston) (1862-1939), Photographer. Artist associated with 94 portraits, Sitter in 4 portraits. Geoffrey Hill Ambler (1904-1978), Inventor, air force officer and amateur rower. Sitter in 1 portrait. J.B. Bell, Australian amateur rower. Sitter in 2 portraits. Llewelyn Vaughan Bevan (1905-1987), Amateur rower; brother of Edward Vaughan Bevan. Sitter in 2 portraits. J.A. 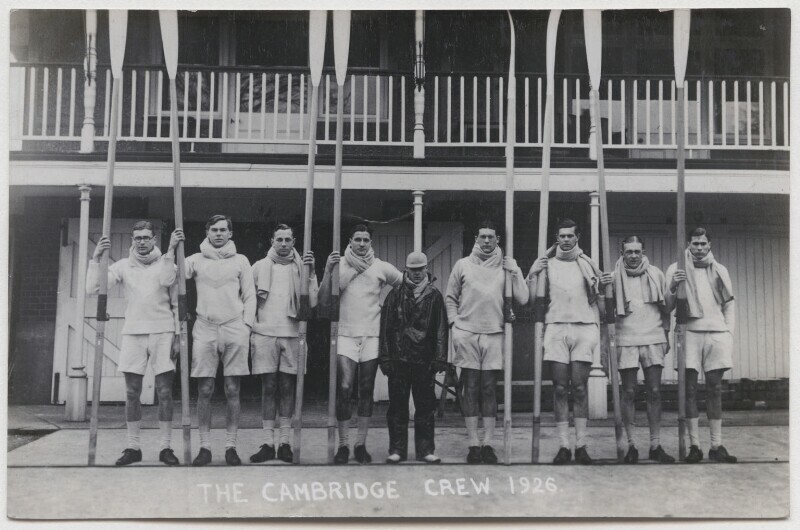 Brown, Amateur rower. Sitter in 2 portraits. Richard Berthold Craggs (1903-1962), Amateur rower. Sitter in 1 portrait. Edric Hamilton-Russell (1904-1984), Mining engineer and amateur rower. Sitter in 1 portrait. Maxwell Frederick Arthur Keen (1903-1971), Civil servant and amateur rower. Sitter in 1 portrait. W.F. Smith, Amateur rower. Sitter in 1 portrait. S. Kinsley Tubbs, Amateur rower. Sitter in 2 portraits.